I've found that it's easy for me to get wrapped up in expensive cameras and fancy editing apps like Lightroom and Photoshop. I usually will only post photos taken with my cameras that cost me my first unborn child's college fund, only because I need to justify the fact that I spent so much. I almost refuse to accept that my iPhone can actually offer amazing images, some of which turn out better than my 5D Mark IV. But the reality is the iPhone has been created to be a photographer's best friend. Whether it's actually taking a photo or using an app to help you get the photo you want, smartphones are indispensable when it comes to photography. So here are a few apps that I use regularly and how I use them to my benefit. I know, what a shocker. But there are a lot of things that I use Instagram for other than just looking at photos and prolonging my poop breaks. Instagram is a great tool for scouting locations. Before I went to photograph the Sydney Opera House, I looked up as many hashtags and location tags as I could to see what other people were doing to get their shots. It gave me some great ideas/locations to work with. The Sun Surveyor App has been a huge help for me, especially planning sunrise, sunset and astrophotography shots. The app will allow you to see the sun/moon's path at any given day, anywhere in the world. I use this when I am trying to figure out where to set up for the best light or to try and determine when the best night sky will be in conjunction with the moon. The Procam 4 is the best app I have found to manually adjust your iPhone camera. Each iPhone has a lot of the typical controls of a camera to an include an ISO between around 50 and 1760 and shutter speed between 1/4 and 1/120000 sec, however, the phone only has a fixed aperture. That being said it can be difficult to really manipulate those settings just through the iPhone camera. 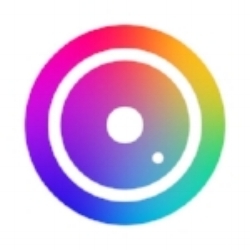 The Procam 4 app allows you to manually adjust your iPhone's camera controls. You can adjust exposure, focal points, ISO settings, shutter speeds and more. It even allows you to do long night exposures. While all of those features are great, I think the biggest thing the app offers is the ability to shoot in RAW. For those of you unfamiliar with RAW, it's a camera setting that allows greater post editing. A lot of times a RAW image will initially appear flatter/duller than your traditional image but it carries more data that can be edited later on. Basically shooting RAW is today's version of shooting a negative. I usually shoot all of my DSLR images in RAW and so does almost every other professional photographer out there. It leaves the fine editing to you, rather than the camera. In all honesty, the Procam 4 app, when used with a good add-on iPhone lens and the iPhone 6 or 7, will match if not beat some of the middle level cameras out there in quality. The biggest thing you will be lacking is an adjustable aperture. The Dark Sky Finder App is my go-to app when trying to take photos of the stars (astrophotography). The app lists where there is most likely to be light pollution, or lack there of. It will either find your location or you can freely scroll the map to scout a location. This in conjunction with the Sun Surveyor App is great for figuring out where you will get the "darkest" sky. In addition to the map, the app also will offer special tips for often frequented dark sky locations to help you get a better shot. I use Snapseed when I don't feel like transferring a photo over to Lightroom/photoshop for editing. It's a great app that will offer you a lot of the same editing tools as some of the more advanced computer program. The app helps adjust things like shadows and highlights, contrast, clarity, vignette and more. I have compared this to the Lightroom iPhone app and I personally think it's a lot better. I use this app a lot when I edit a photo on my computer and then want to transfer it to Instagram. I find a lot of times the photos look great on my computer but when I go to put it on IG it doesn't pop enough due to the smaller size/resolution. This app helps me see what the photo will look like on a phone and adjust accordingly. I know this is an odd app to suggest, but more often than not I have found myself taking photos in sketchy areas within the city or out in the wilderness with no one around. iSurvive offers a one touch EMS message to one of your trusted contacts. The EMS signal sends out your location and a prefabricated message. The only downside to the app is that it only works in areas with cell coverage, but for $.99 is inexpensive insurance that just ups your chances of being found if you break your leg while climbing over a slippery rock while trying to get the perfect waterfall shot. This is another app I use for scouting shot locations. I used this app heavily while in Sydney to try and figure out activities that could offer me unique shots such as shooting from a helicopter. The app also has a user section where people can upload photos, much like Instagram. BH Photo is hands down my go-to store for buying anything photography. I have no doubt I am probably putting some BH Photo senior executive's kid through college with the amount of money that I spend there. That being said I spend all my money there for a reason, as do most professional photographers. The store has daily deals, free expedited shipping (on most items), order status updates and incentive programs where they will send you gift cards based on how much money you've spent... so you can spend more money. This app is basically the retouch tool in Lightroom, but in an iphone app. It gives you the ability to remove any unwanted objects by taking information from the surrounding pixels. While I usually do this sort of editing in Photoshop or Lightroom, it is nice to have an app that can do it on the fly.